These chokers are made with a ferrule on one end and a turnback eye with 3 links of 3/8' Grade 70 chain on other. 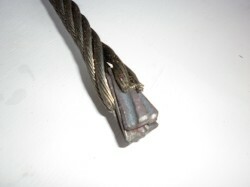 A micro hook slides on general purpose wire rope. 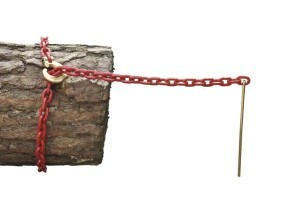 The J1 choker can be connected to the winch line using a log slide (LS1) and a hammerlok. Available in 1/2" or 9/16" (12mm or 14mm) according to length. From 2'6" up to 15', any size of your choice can be obtained, non stock items will incur a delay. From 2' up to 16'6", any size of your choice can be obtained, non stock items will incur a delay. 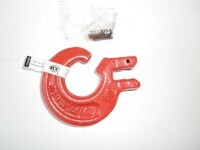 For connecting J2 choker to winch line. Chokers are positively locked with an exclusive 'screwy' rope slot, yet can be easily removed with a simple twist action. 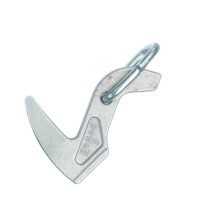 Features a smaller sliding slot to hold against the end ferrule on the winch line and gather ring type hooks. 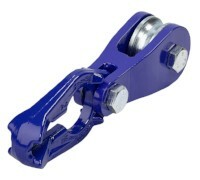 Designed for greater rope bearing to reduce winch line kink. This slider is formed with narrower neck which has a greater curve for multiple sliders to come together at the end of the winch line. It has a larger opening for ease of movement. Ideally one LS7 should be placed at the end of the line to the ferrule to hold multiples of these in place. Large opening allows for easy movement over main winch line. The saddle step design reduces winch line kinking and wear. 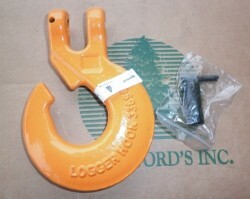 Recommended for 1/2", 9/16", 5/8" and 3/4" (12mm to 19mm) winch lines. 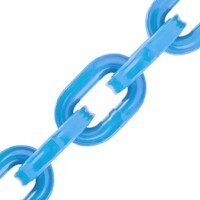 Also used to connect keyhole type grab links to a log slide for use with choker chains. 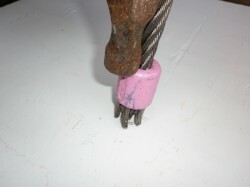 The rolling lock pin allows flexibility in the connection. 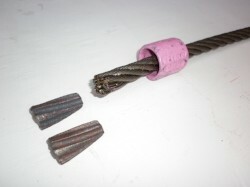 These hooks will work with 1/2" (12mm) wedge ferrule assembly for repair of 1/2" (12mm) chokers. 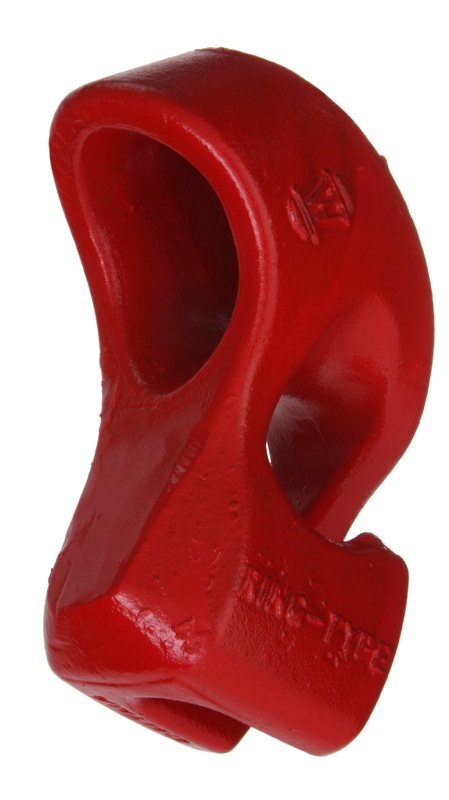 Wedge ferrules let you make up an end termination on winch lines in minutes - no socket metal or swaging is required. Ferrules are made of high strength alloy steel which resists slipping or cracking under severe loads. Rifled wedges provide more gripping surface for greater holding power. 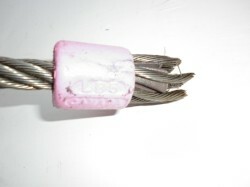 These also make a much more user friendly termination than a knot as there are no frayed ends. Fitting instructions are included but here are some pictures to help. 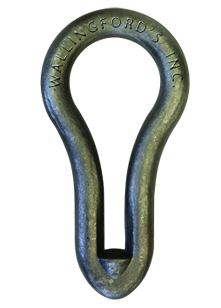 Heat treated drop forged alloy keyhole type grab link. Elongated saddle on bottom doesn't cut or gouge chain. 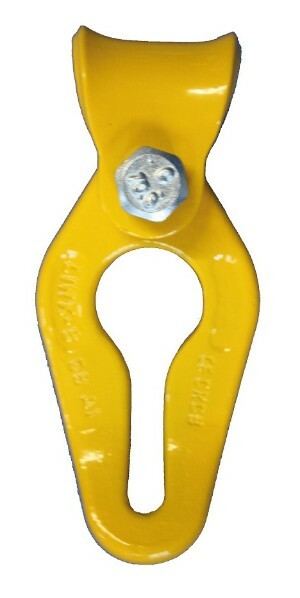 Long shaft can accommodate two chains, used to secure and shorten chain chokers. For use with 10mm chains. 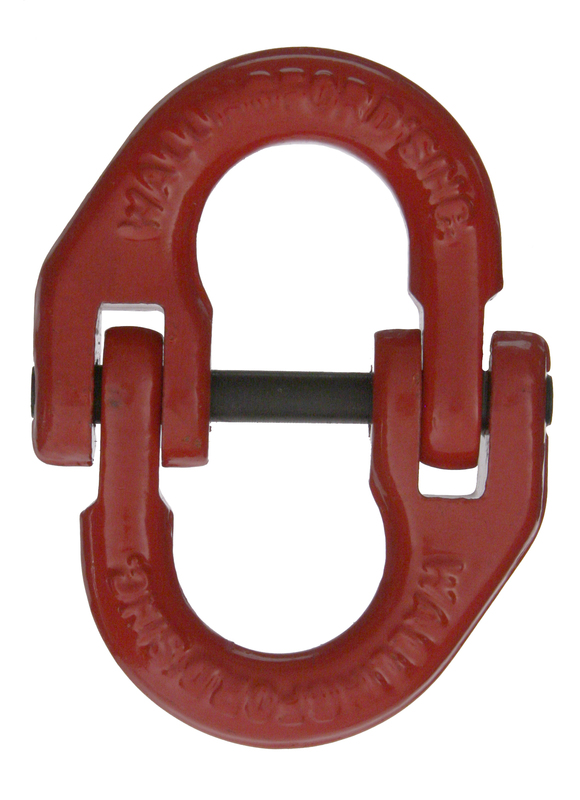 WA2 Round link, a grade 110 equivalent in strength, is embossed every 6th link for easy identification. 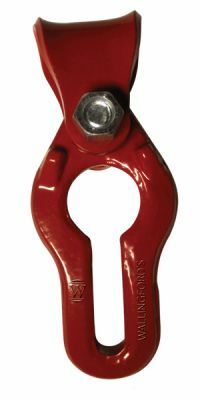 WA2 is suitable for overhead lifting. 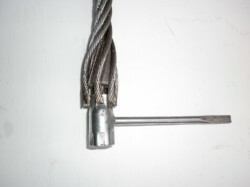 Pre-assembled 8' choker with pin type choker hook. 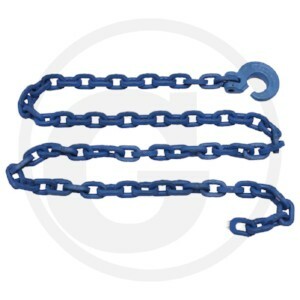 This choker chain is particularly impressive due square links for good grip and its high breaking load (7.8T). With clevis hook and needle. This special profile shape from Pewag have decisive advantages and are therefore highly appreciated by professionals. 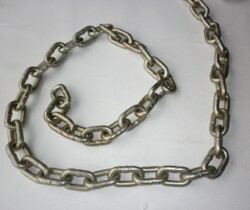 7ft (2.13m), grade 70, 8mm chain choker with needle. 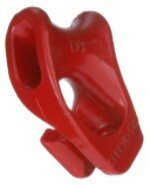 Swivel cable slide for square and round chains up to 8 mm. Also suitable for short-term distraction. 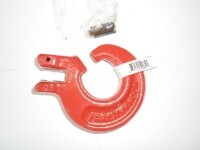 Suitable for winch ropes up to 14 mm diameter. For 6mm to 8 mm chains. Length of Grade 70, 8mm chain. Embossed on every 6th link for identification. 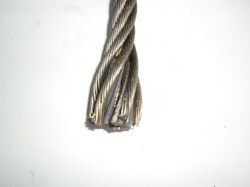 Chain cut to length from continuous reel. If size you require is not visible, please contact us. 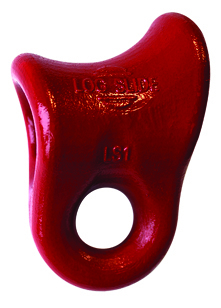 The Loggerhook chain hook is lighter than most conventional hooks but carries the same working load limit as its larger counterparts. 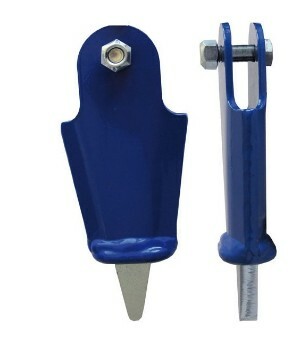 Features include a locking pin rather than a bolt for uniform wear. This hook will accept 10mm chains. Large inside width allows easy chain movement. 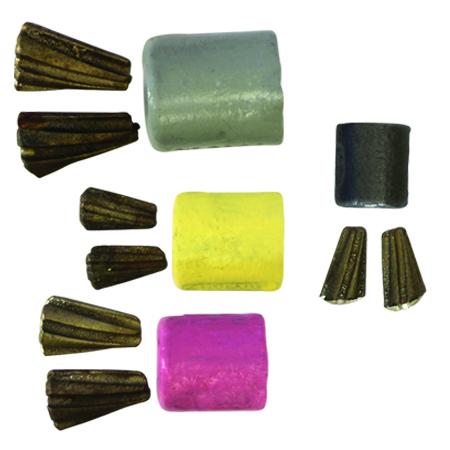 Narrow slotted tip helps to prevent unhooking. Manufactured by Pewag for driving into small sized stems. 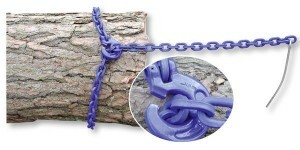 For pulling chain chokers under logs. Made from hardened steel to hold it's curve.